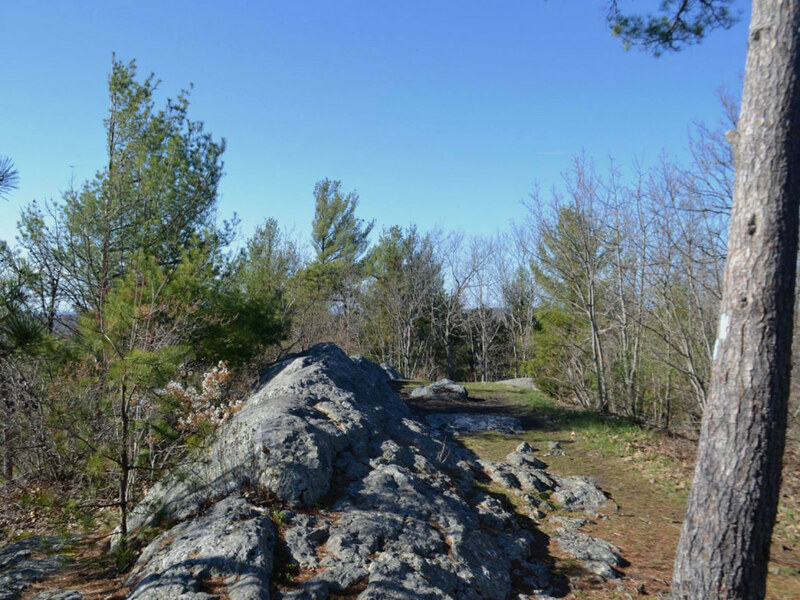 Lantern Hill is a 491 foot summit in North Stonington, CT, best known for the fantastic views from the top. Best in the autumn or spring months, to avoid as much heat and humidity as possible. Lantern Hill is a 491 foot summit in North Stonington, Connecticut. There are a few different trails in the area, with the main two being the Lantern Hill Trail, indicated by the red arrowhead, and the Narragansett Trail, which is marked by the standard Connecticut blue trail marking. Lantern Hill itself is one end point of the 16-mile Narragansett Trail. Lantern Hill is best known for the fantastic views from the top of the surrounding greenery of North Stonington. 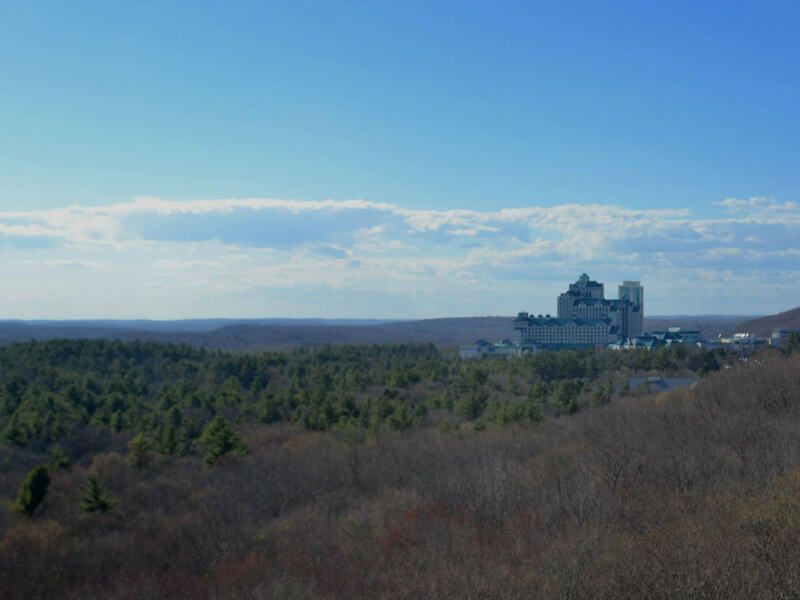 After reaching the summit there are multiple areas on either side of the hill that offer secluded views over Lantern Hill pond and outwards, including a very clear view of Foxwoods Casino. Depending on the day, you may even be able to see the ocean from the south side of the hill. I enjoy Lantern Hill for its short but steep trails, which make for a challenging and, after reaching the top, rewarding hiking experience, while not taking very much time. There are, unfortunately, a few unavoidable drawbacks to this hiking location: first, there is very limited parking. In the warmer months it may be difficult to find a spot, and you might have to drive down the road a bit and walk back to the entrance. Second, the road can be busy and is also to some degree visible and audible at different points of the hike, which some may find distracting or annoying. Climbing to the summit and back does not take long, as the trail itself is fairly short. That being said, reaching the vista is still challenging at times. 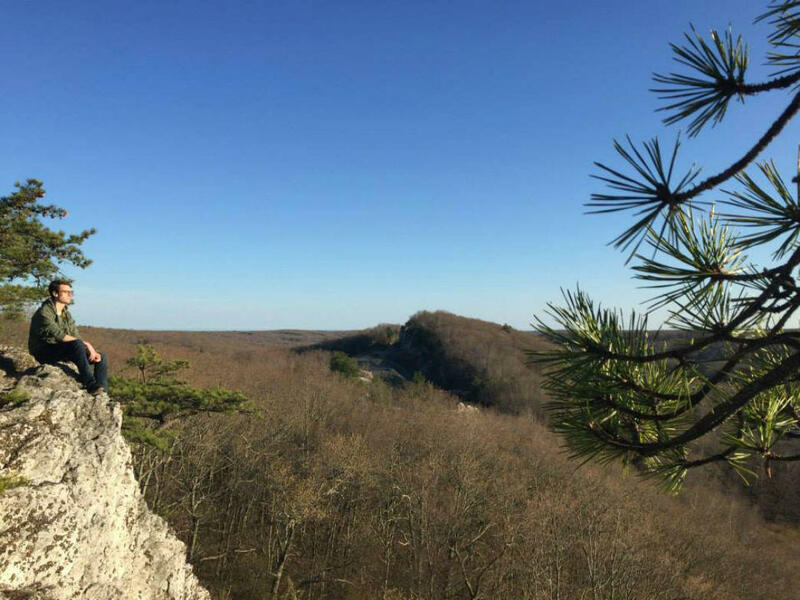 The trail has points at which it is extremely steep, and at times follows dangerously close to the edge of the cliff. While offering a wonderful view of the pond, it is important to be ever vigilant of loose rocks and leaves that could easily result in a very serious injury if not given the proper respect. Still, hikers like myself, who are especially fond of steep climbs and rewarding views, will love Lantern Hill. If you are looking for a shorter, steeper hike, Lantern Hill is the place for you. The main parking area leads directly to all the trails. The parking area is actually not along Lantern Hill Rd, but Wintechog Hill Rd, on the other side of the hill and pond. Coming from Norwich or North Stonington CT, take route 2 down to Foxwoods Blvd, then turn onto Wintechog Hill Rd, parking on the right. From Ledyard, take 214.